Whether it’s VBS, KidZChurch, Mid Week programs or specialized ministries, there are those of us out there who are crazy for helping kids to find and follow Jesus. 1) Are you Committed to seeing kids know Jesus and grow in their relationship with Him? 2) Are you Relational, Reliable, and Ready to jump in and get to know kids where they are? 3) Are you Available to meet needs, teach classes, prepare crafts or snacks, clean nursery toys and pray, pray, pray for the hearts, minds, and lives of today’s kids? 4) Are you Zealous enough to do whatever it takes to help kids grow in Christ? 5) Are you willing to Yield to God’s leading and God’s way to get things done? If so, then you are CRAZY, too! Crazy enough to give up time, energy, finances, and more to help kids live the kingdom life God has planned for them. Welcome to the club!! It’s a CRAZY good time! 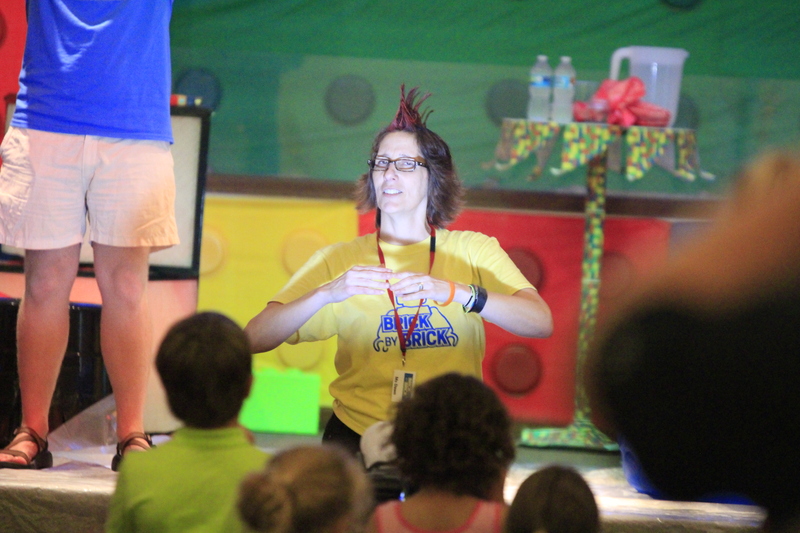 Here’s my “crazy” mohawk on the last night of VBS. Thanks to my good friend, Chris, for the new do! Who knew that craft paint was good for hair??? 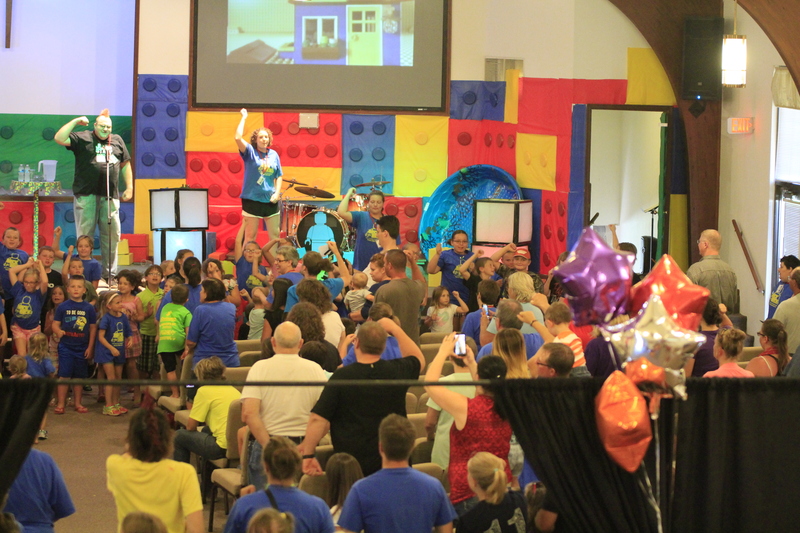 Last week we had the privilege to host Vacation Bible School at our church. Many of you reading this understand that VBS is a crazy, exhausting, wonderful, glorious week–most of the time. We invited Jeff McCullough of Jumpstart3 Scripture Memory Ministry to our VBS this year because we believed with all our heart that we need to get kids and families excited about the Word of God. Although Jeff and I had talked about the structure of our VBS, I think he was still a little shocked at the intensity of what we do and how we do it. Each morning we host our preschoolers (3 yr-K) for a morning VBS. Jeff led the music sessions for 4 groups of preschoolers each day. Each group ranged in size from 6-14 children. Each evening we host our “Big Kids VBS,” where Jeff led 3 groups of children in grades 1-6. Not only could they sing the words, and say the words our littlest HiSKidZ were grasping the meaning as we taught that these words weren’t about houses or rains or rocks or sand, but about us, and Jesus. And our big kids were crazy for Jumpstart. 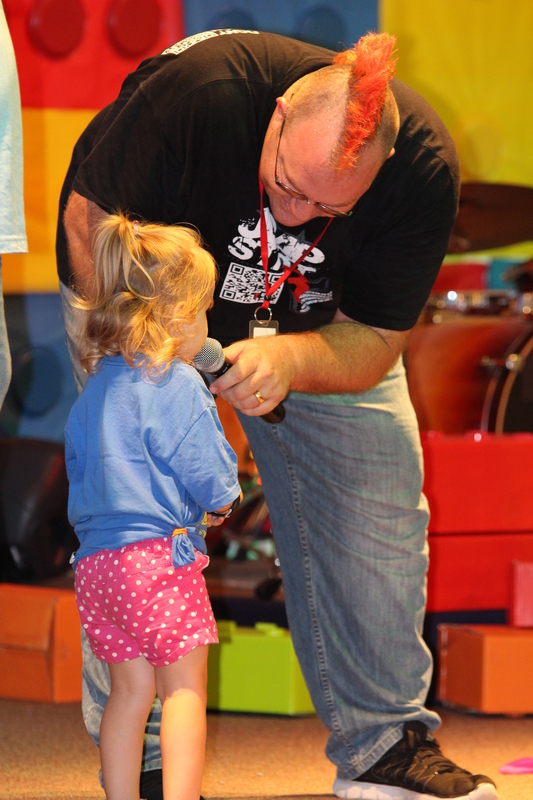 Jeff helped us to be able to give each child who attended a CD of the songs we would use at VBS. In fact, we gave them one and offered them one to use to invite a friend. So, the kids in our town were blasting Jumpstart from minivans and pickup trucks all around town! Our “bigs” learned at least 5 verses this week, and could also not just sing them, but say them! 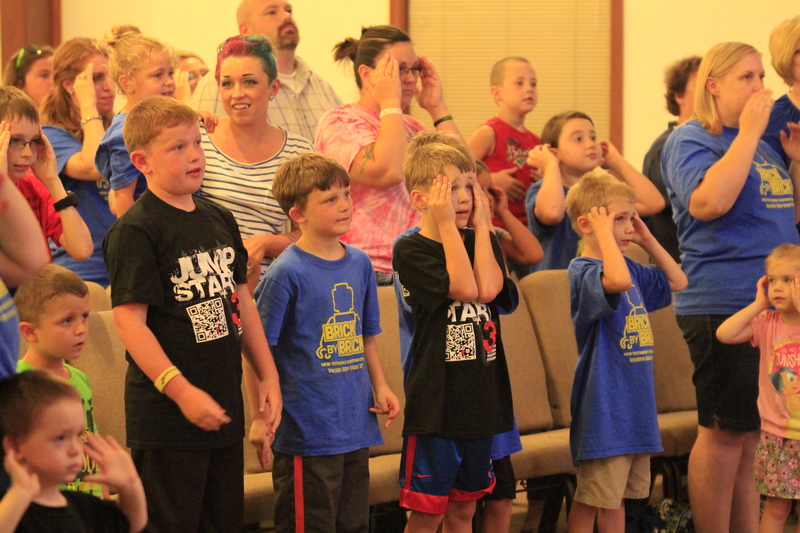 Jumpstart3 literally gave our children the Jumpstart on putting more than God’s Words into their lives. Jumpstart helped give our kids a passion for God’s Word. God was at work in so many amazing ways this past week, and I’m looking forward to sharing them in the days ahead. If you have any questions about how Jumpstart3 could benefit your ministry, feel free to message me, or get ahold of Jeff through Jumpstart3’s webpage. 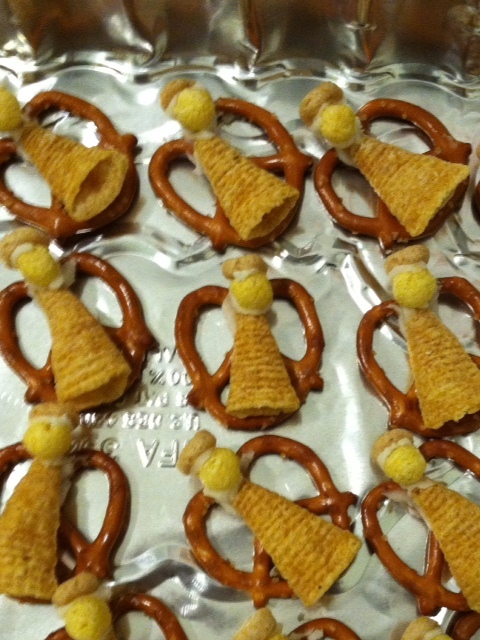 For our lil HiSKdiZ lesson last Sunday we made these super fun angel snacks. 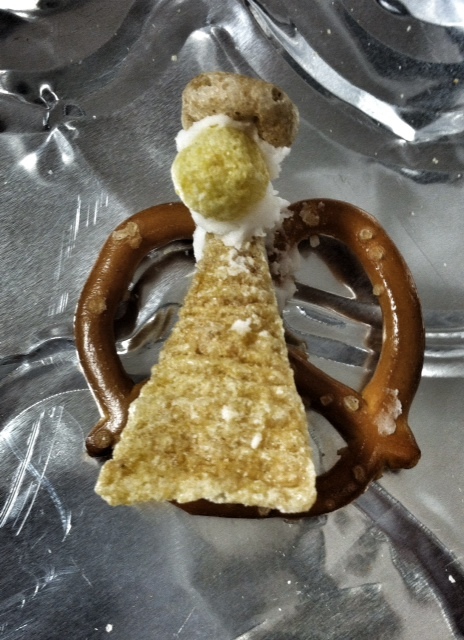 Sure, somehow it may seem a bit harsh to eat angels, but they are SO CUTE!!! And SO TASTY! Our lil HiSKidZ loved them and do did our leaders. Our lesson was centered on when the angel Gabriel came to tell Mary that she was going to have a baby and named Jesus. They are super easy. You just need some Bugles chips, (it’s amazing how many people love the Bugle!) 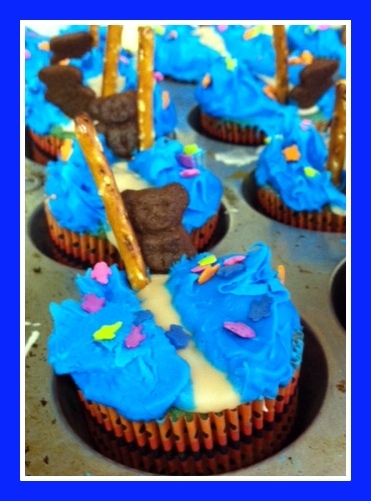 small pretzels, Kix and Cheerios cereals and some frosting. 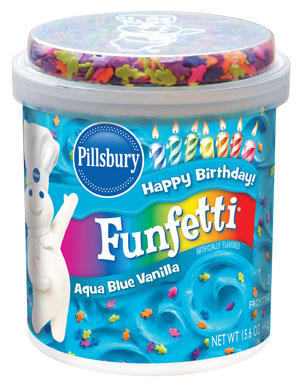 We used the kind in a tube. It made it super simple to apply and made the angels look neat and tidy. (Something I’m sure angels are!) It also made the task really quick and we had our own angel army in no time at all. You can tell how to put them together just by looking at the picture. Enjoy!! Taste and See. . . the Lord is good! Like in many churches, we often map out a weekly teaching plan for our volunteers that includes a teaching point, Bible lesson, craft, activity, songs and snack. For our littlest HiSKidZ, snack is almost always something that ties into the lesson reinforcing the story or truth we want them to learn. This month, our preschoolers are learning that they can praise God, and Sunday’s lesson was about how the Israelites praised God after they crossed the Red Sea. I love the snack that Susan, one of our veteran volunteers, shared with our classes to help them remember that God’s people praised Him after He helped Moses lead them safely across the Red Sea. Taste and See. . . the Lord is good. It’s only Tuesday, but I can’t wait til Thursday to share a great resource with you! Don’t you just love it when you make a new friend? And when your new friend is totally awesome it’s even better! 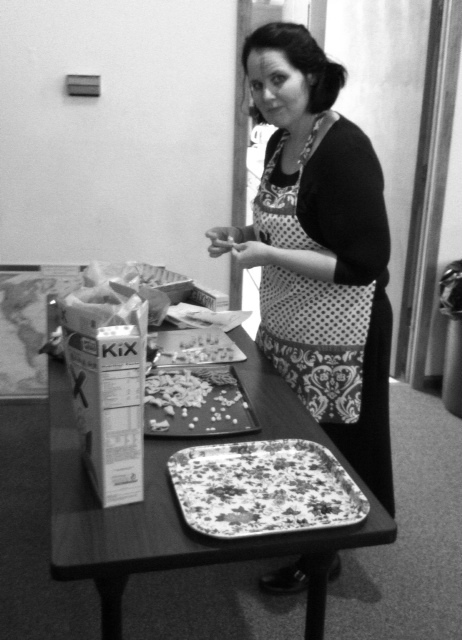 And when she happens to produce great resources for kids, well that’s just the whip on the mocha! Recently I spent a weekend in Denver, Colorado, as part of the Kidology Coaching Summit where I had the pleasure of meeting some of the greatest kidmin people EVER! One of them was my roommate, who is just the most incredible woman. Today, I am so excited to share a little bit about her with you. I hope as you get to know her heart you will be as excited as I am about the work she is doing for the kingdom. Kathy Vincent, The Scripture Lady, is from California and ministers to children through music. She does school and church programs, teacher/volunteer training, and writes and performs scripture songs for the young and young at heart. Kathy is a precious soul with a heart filled with the love of Jesus and desire to help a new generation hide God’s Word in their hearts. From her website www.scripturelady.com you can hear and purchase her music and Bible games, singly or in bundles, and find some great object lessons and classroom helps. Kathy is available to do programs, talks, teaching and music anywhere in the country, although she keeps busy in the Orange County area where she resides. With Christmas on the way, my friend the Scripture Lady is well worth your time to check out. When you do, be sure to put a few items in your cart and check them out from her site. Here’s a little preview of some of her songs. Enjoy!